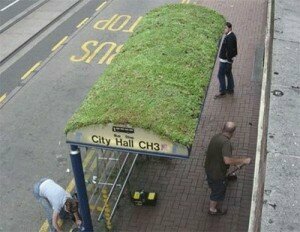 To find the clean and comfortable bus stops you can do in various countries. 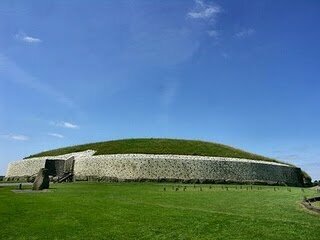 But for you who are traveling the world, in finding the most unique bus stops are also not a difficult thing. The swing bus stop has a high creativity enough in where almost all of the passengers who are waiting for the arrival bus can play swing first. A swing set at the bus stop would melt away all of the stress associated with public transportation. 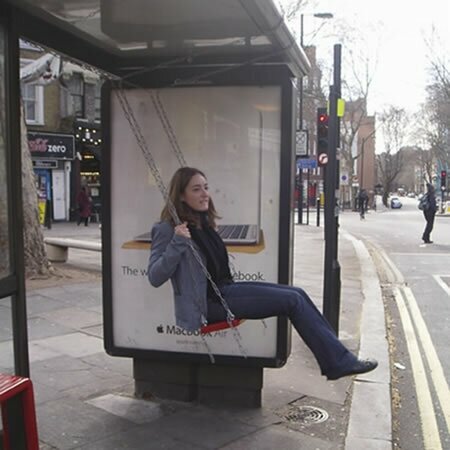 This swing bus stop is located in London city. 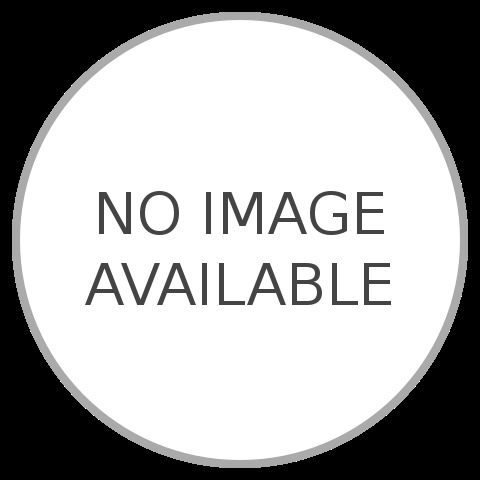 There is only one swing are available at bus stop locations. The uniqueness of the Sheffield bus stop is visible on the roof that is overgrown with green grass plants, so as to resemble as a football field which is located on the main street in the Sheffield city, England. 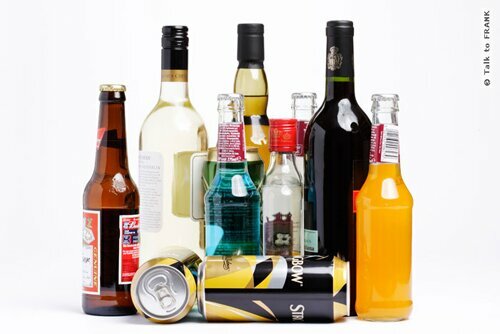 For those of you who are visiting to Brazil, please try to visit to Curitiba city. 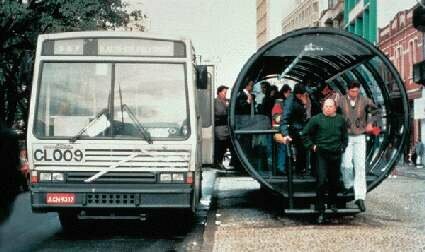 There is an unique Curitiba bus stop which is shaped like a glass tube with the completeness of two small steps at each door. The Curitiba bus stop was made special stops of the five different types of buses. 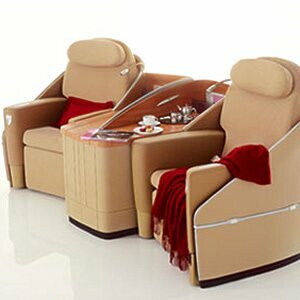 Brazil is known as the storehouse of the famous soccer player. 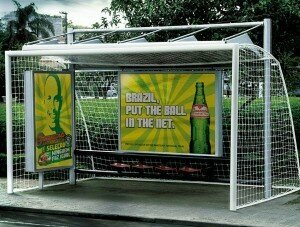 Therefore, Brazil made an unique football goalkeeper bus stops called Guarana Antarctica Bus Stop. 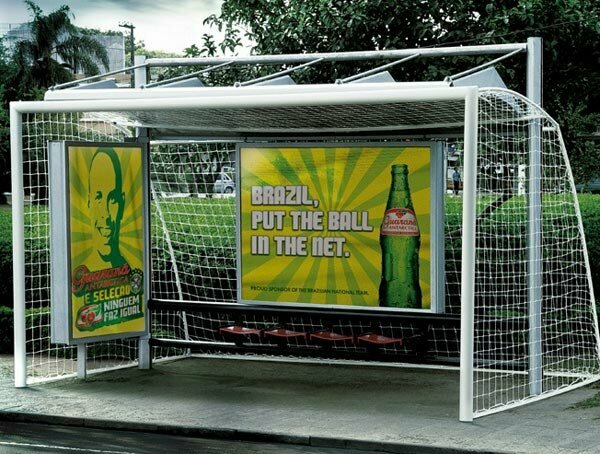 This bus stop is located at Sao Paulo city, Brazil. Starting from the pole until the basket resembles a soccer goalpost original. 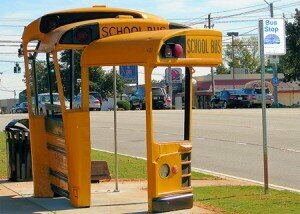 Bus stop in Athens, Georgia United States was created with resembles a school bus design. In every part of the bus stops roof were given a lamp and note as “school” posts in order to be seen by three units of the old school bus that was usual stop there. 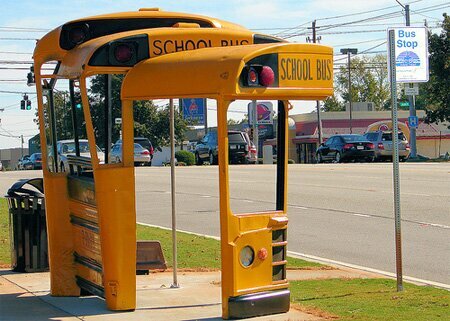 Unfortunately, this school bus stop has only three passenger seats were very minimal. 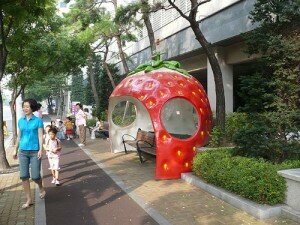 Do not called Japan if this country is not adopt an unique buildings such as this strawberry bus stop. Besides of strawberry, this Sakura country also has a bus stop in other fruits, such as oranges, melons and pumpkins bus stops. 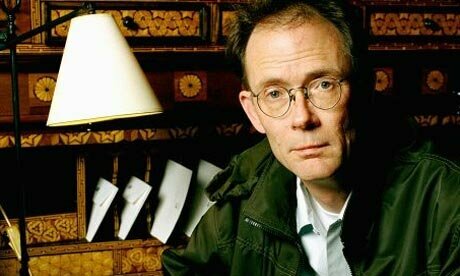 Waiting is the most boring things, include when we are waiting for the bus that have not been forthcoming. 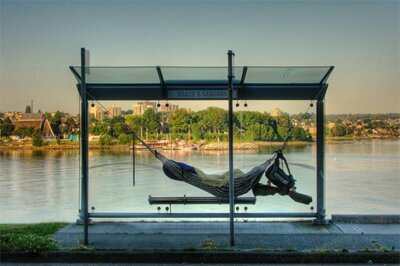 Even though that habits you easily overcome if at every bus stop has interesting facilities, such as baskets to bed (hammock) in Vancouver Canada. Beside the uniqueness, you can also fall asleep at the bus stop location.